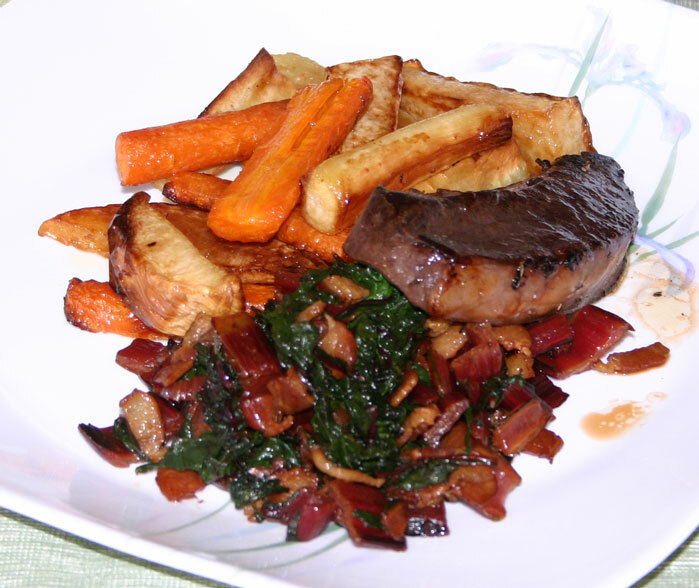 This is the side dish that I served along side the beef-heart steaks. Chard is one of my favourite vegetables. I love the flavour, but even more, I love how nutritious it is. It a good source of Thiamin, Folate, Phosphorus and Zinc, and a very good source of Dietary Fiber, Vitamin A, Vitamin C, Vitamin E (Alpha Tocopherol), Vitamin K, Riboflavin, Vitamin B6, Calcium, Iron, Magnesium, Potassium, Copper and Manganese (1). 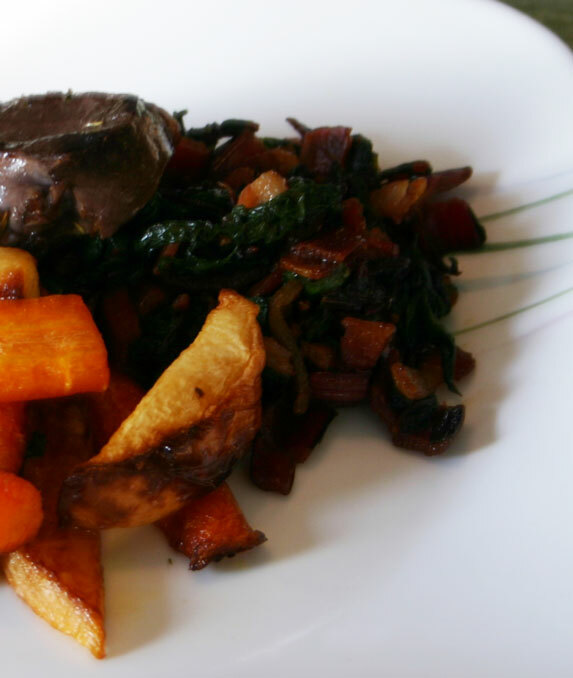 I love to add bacon when I am cooking greens – not only does the bacon provide more flavour, it also provides some healthy fats that help you absorb the fat-soluble nutrients. 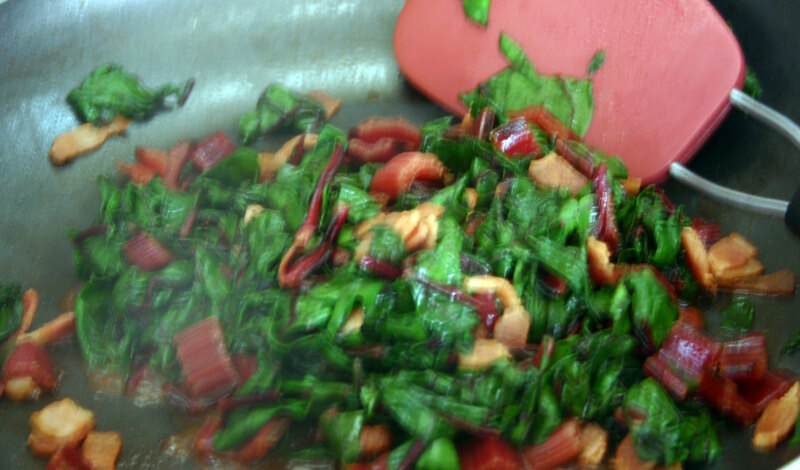 Trim the chard, cutting the stems into small bite-sized pieces and coarsely chopping the green leaves. 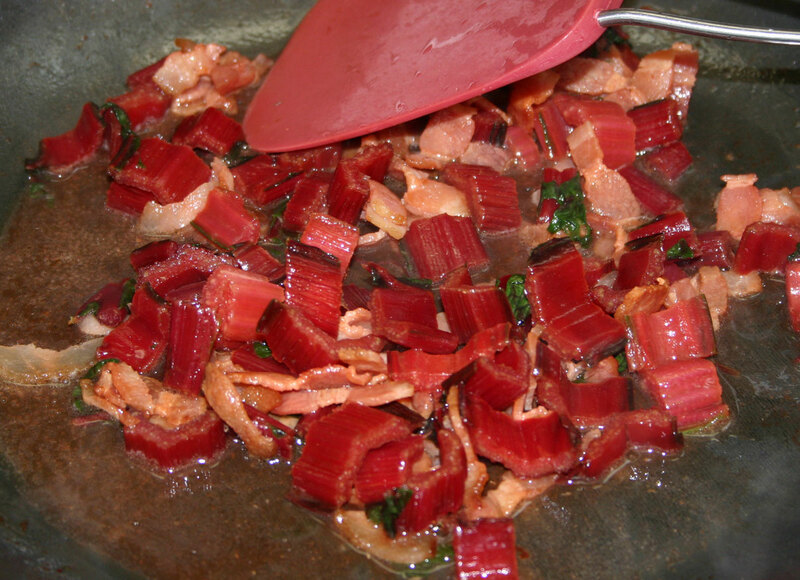 Put the bacon in a large, heavy skillet and cook until crispy and the fat has run out of it. 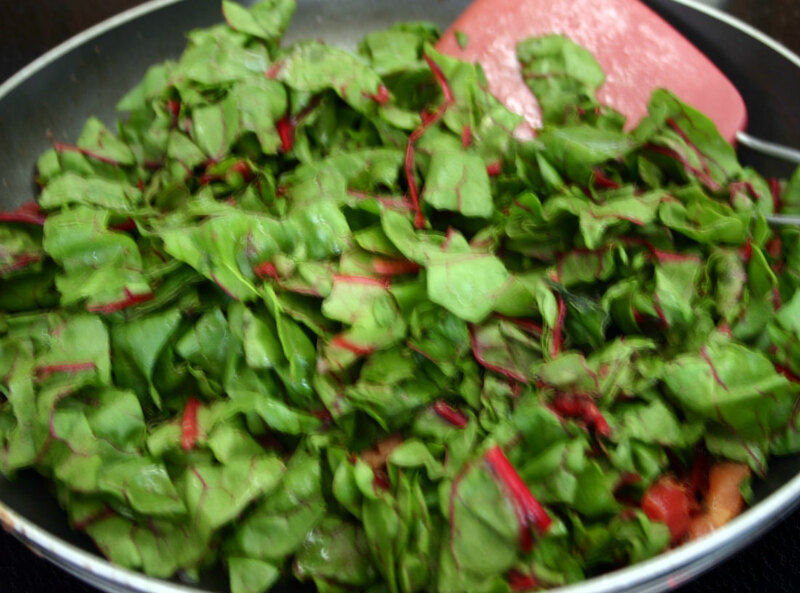 Add the chard stems to the skillet and toss for 5 minutes until the stems are starting to soften. Add the broth to the skillet and simmer for 2-3 minutes. Now add the green chard leaves. Toss until most of the liquid has evaporated and the leaves have wilted. Depending on how salty your bacon is, you might not need much extra salt. 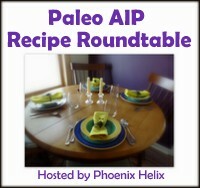 This entry was posted in Autoimmune Protocol Foods, Recipes and tagged AIP, Autoimmune Protocol, bacon, Greens, paleo, side-dish, vegetable. Bookmark the permalink. What kind of bacon do you buy? Should I worry about the nitrates or sugar? I am having a hard time finding it without! I buy bacon from a local pastured pork supplier. 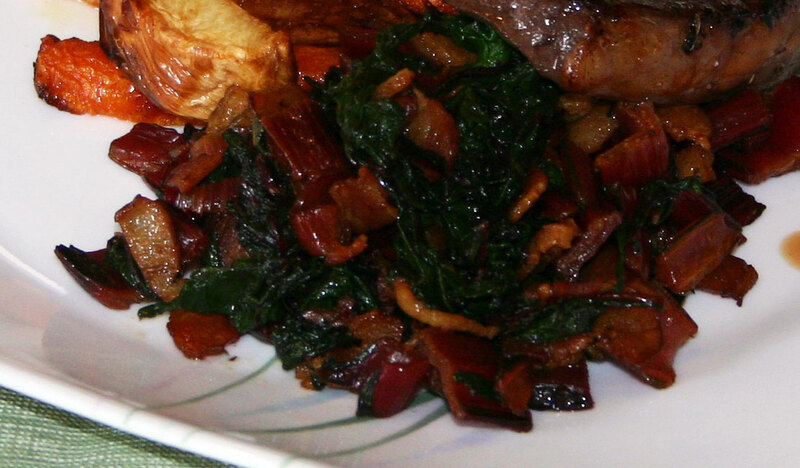 It is very hard to find bacon without sugar as it is an integral part of the cure – I have been assured that there is very little sugar that actually remains in the bacon at the end of the curing process.